Bring together key stakeholders involved in a wide range of food sectors to establish strategic regional actions that will help make their region a Healthy and Creative Food Region. Our Healhty Food Partnership toolkit will assist and train regional stakeholders to create Healthy Food Regional Partnerships. 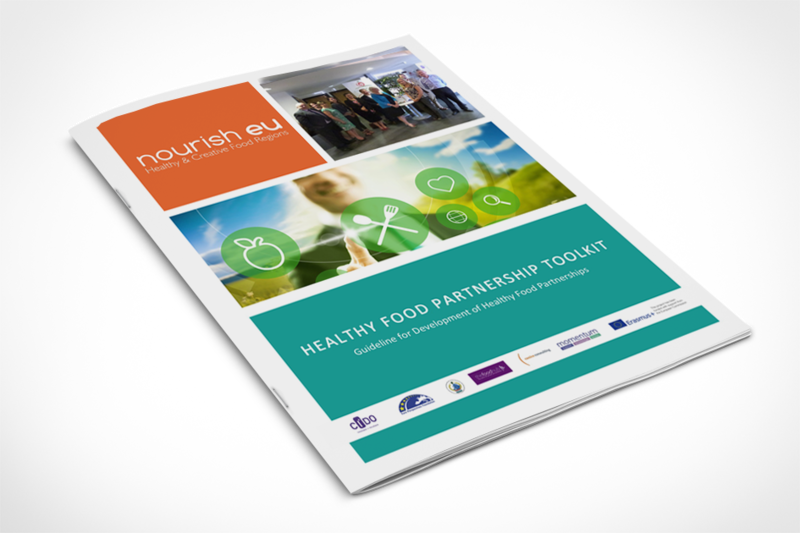 This toolkit comprises of a programme of learning actions and guidance on how to create a healthy food region including extra resources and templates to help get your Healthy Food Regional Partnership up and running. 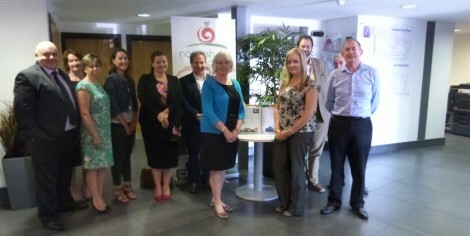 Our FREE online course called ‘Creative Ways to Produce, Market & Distribute Healthy Foods’ is now live. This course brings together for the first time and in one source, a VET response for food entrepreneurs and their employees to developing foods for two specific areas of absolute and proven need at consumer level – obesity and food poverty. 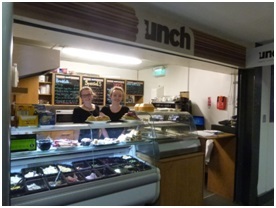 Through short industry work placements, young unemployed may consider starting a new food businesses or get new employment in Food SMEs. The biggest challenges facing the EU food sector are obesity and food poverty but these are also commercial opportunities to develop healthy and affordable foods. Nourish.eu is an Erasmus+ Strategic Partnership that over the last two years has developed a range of educational tools to assist the stimulation of Healthy & Creative Food Regions in UK/Northern Ireland, Bulgaria, Hungary and Ireland. Press play and watch our showcase video (left) for a snapshot of what we have developed and achieved during the course of the project. 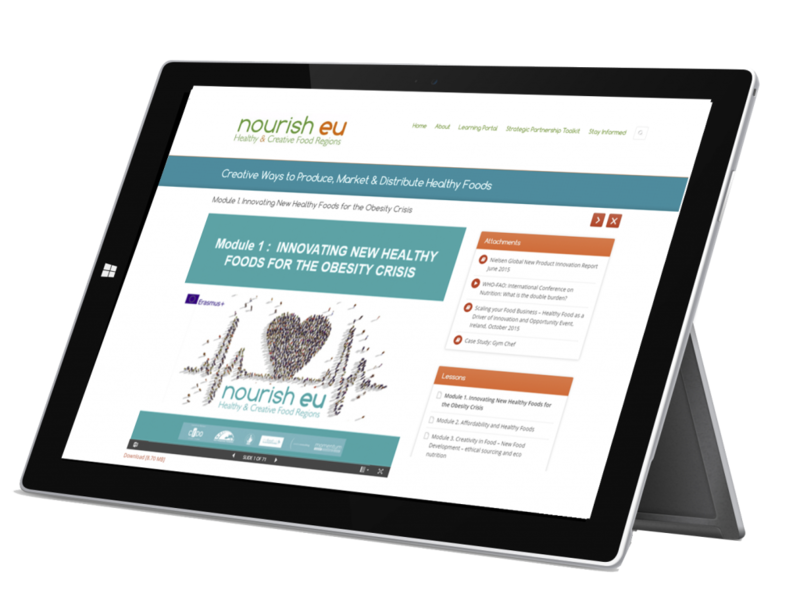 This Creative Ways to Produce, Market & Distribute Healthy Foods Course looks at the challenges of obesity and food poverty in the EU and the opportunities that they represent for a new commercial response. In taking this course, learners will expand their knowledge and gain new tactical skills to understand the market opportunity arising and develop an innovation plan for their business to guide their development, marketing and distribution of new products with a healthy focus. 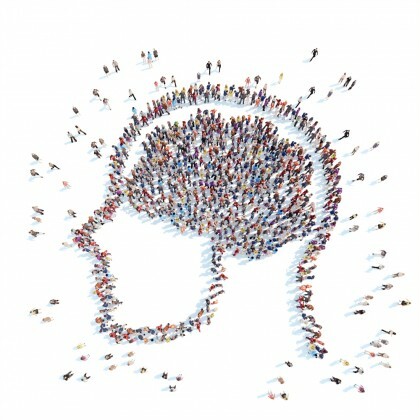 Practical activities and inspiring case studies provide an extra layer of learning. This course delivers a new, innovative and transferable training programme for industry learners, policy makers and influencers in underdeveloped and marginalized food regions in UK, Ireland, Hungary and Bulgaria.